Interfaith Action of Central Texas exists to build healthy relationships between the faith communities of Central Texas. We believe the work of bridging the faith divides of our community is not just a “nice” thing to do – it is essential. Any honest assessment of the threats to our children’s future would take into account the very real possibility of interfaith conflict. But, while the threat is global – our response must also be local. We believe that the work of “cultivating peace and respect” cannot be left to diplomats and dignitaries – we, the faithful, have to play a leading role. We invite all good-hearted people to join us in this work. You may be Christian, Jewish, Muslim, Hindu, Buddhist, Baha’i, Unitarian, Sikh, secular, or simply a spiritual seeker – but your voice, your talents and your commitment will be welcomed by the iACT community. We believe that a future of peace and respect begins with you – and that together we can all be the “i” in iACT. Our individual actions can and will make a difference. Join us as we cultivate peace and respect through interfaith dialogue, service and celebration! 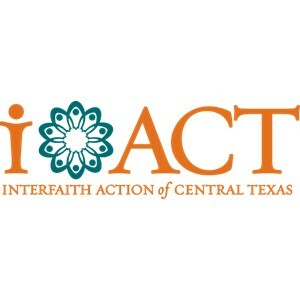 iACT works with faith communities throughout the Austin area. If you are looking for a faith community, please check our section on Your Community Guide. On the site you can search for faith-based organizations or by a particular faith tradition.